Martin Luther King Jr. Day can – and should – be more than just a day that post offices and banks are closed. In the Chippewa Valley, there will be several ways you can honor King’s legacy and help the community at the same time. UW-Eau Claire’s AmeriCorps ECLIPSE program is organizing a day of service on the holiday – Monday, Jan. 16. Volunteers will gather at The Community Table, 320 Putnam St., at noon to share a meal, then will break into groups to help a variety of nonprofit organizations around Eau Claire between 1 and 4pm. The opportunity is open to community members and families as well as to UWEC students, faculty, and staff. To register or to learn more, email ECLIPSE@uwec.edu, call (715) 836-6011, or sign up at The Community Table on the day of the event. 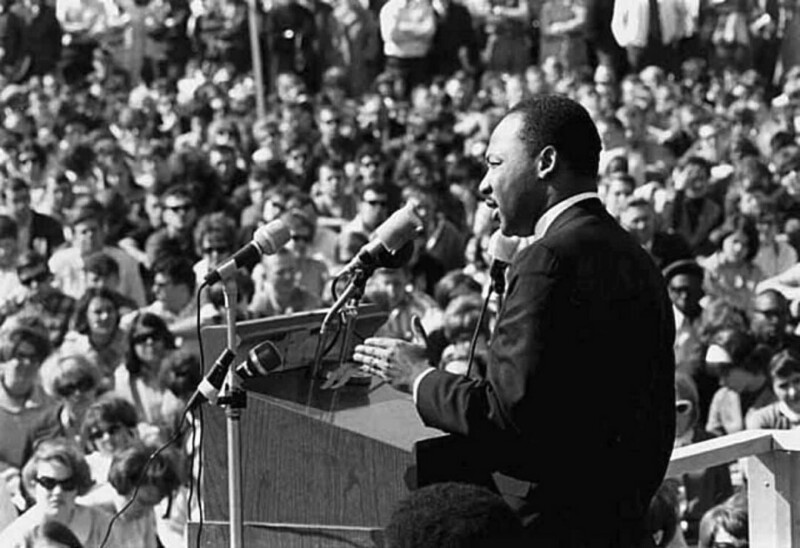 That evening, the “Celebrating the Life and Legacy of Martin Luther King Jr.” event will be at 6pm at St. James the Greater Catholic Church, 2502 11th St., Eau Claire. The free event, which is open to all ages, will include inspiring music and words focused on healing racial divisions.